A post on a Saturday...WHAT??? That's right, I am coming at you on a Saturday. I figured since I was slacking in the beginning of the week I would make sure to post a little extra on the weekend. First let me say that I love love love this mani. I had it on for four days and I didn't want to take it off. Had I not gotten in a ton of stuff to swatch, it would still be on my fingers for another day or so. Next let me say that I had a hard time narrowing down the pictures for this. This is so beautiful to me it was hard to thin the herd of photos. 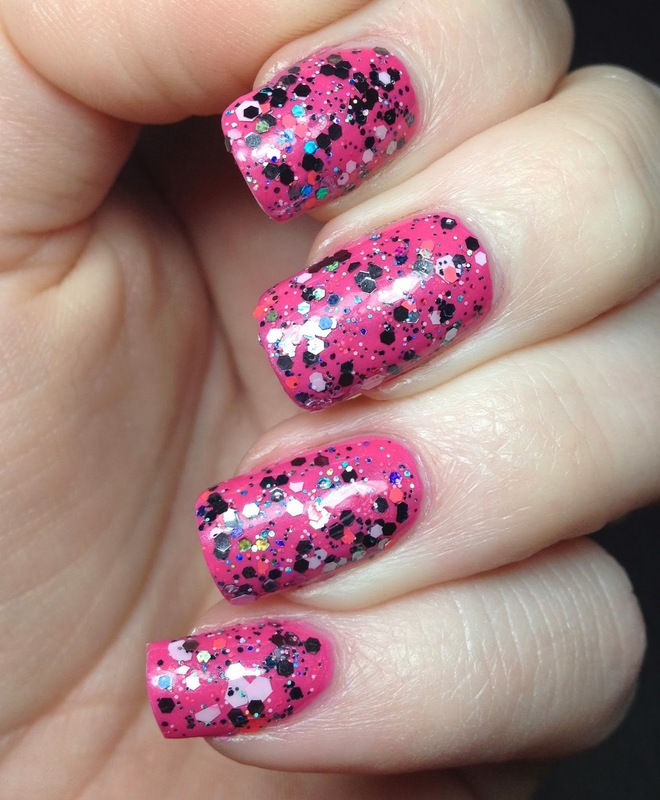 Ok so this is Fade To Pink, another amazing glitter topper from Loaded Lacquer. Heather says this is the baby sister to Mintallica. According to Loaded Lacquer, Fade To Pink contains: holographic gunmetal hex, metallic gunmetal hex, cotton candy pink dots and hex, watermelon dots and hex all in multiple sizes. I am wearing two coats of Fade To Pink over two coats of Sinful Colors Professional Pink Poppys (I do not care for the spelling of it like that, I want to type poppies). 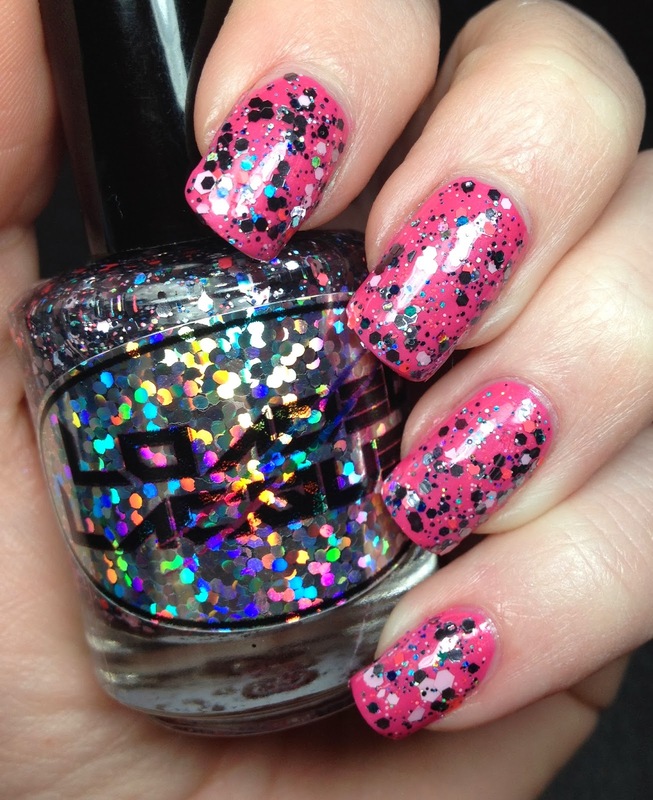 I have it topped with Glisten and Glow HK Girl. Well, do you like it? I looooooooove it. You had me at gunmetal. And holo. 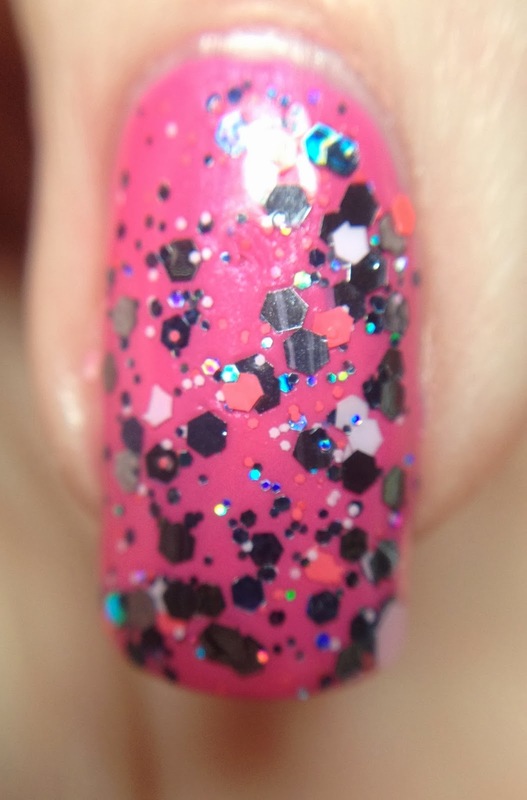 Onto the wish list this gorgeous polish goes! Gorgeous nails, I love them!